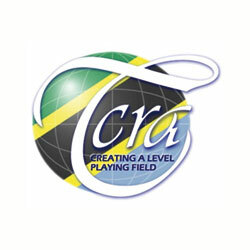 The Tanzania Communications Regulatory Authority (TCRA) has issued operational licenses to communication firms, WiAfrica Tanzania Limited and Smart Banking Solutions Limited, both of whom have met government regulations and have plans to improve broadband access and banking operations respectively. According to WiAfrica Tanzania Corporate Communications Manager, Pius Mtei, the company will work to offer modern 4G communication networks across the country and will encourage quality service so with the aim of working to develop digital inclusion in the country. “WiAfrica believes that wireless broadband is a must in Africa in order to get affordable connectivity to the businesses, education and general population,” he said adding that it was eager to join with the Government to work towards achieving the Tanzania Development Vision 2025 (TDV 2025). The Chief Technical Officer of Smart Banking Solutions Limited, Roberty Mng’anya, also expressed an eagerness to begin working with Tanzania financial institutions to facilitate operations within the banking sector. According to the TDV 2025, by 2025 Tanzania will be a middle-income country with a competitive, diversified, semi-industrialized economy that can sustain growth and shared benefits with an extensive industrial sector.